21-24 October at the London meeting of the Working Group on Implementation of Development Strategy of UGCC by 2020. The meeting was chaired by Bishop Ken (Novakivskyi), the team leader. At the meeting the results of work of the group for the last two years were summed up and further steps of implementation of the priorities of the Strategy 2020 were planned, particularly attention was drawn to the development of the missionary spirit of the faithful and to the working-out of the document of the Synod of Bishops in 2013 " new evangelization Directions in UGCC." Also preparations for the diocesan councils in 2014 and the Patriarchal Cathedral in 2015 on the theme " Live parish - a meeting place of the living Christ " were started. 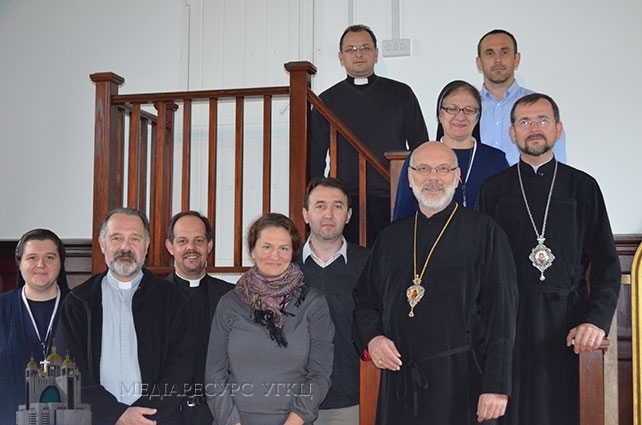 In November, the working group plans to hold a series of meetings with the coordinators, who are the representatives of dioceses and exarchates of UGCC: in Philadelphia for coordinators from North America and Australia, in Rome for coordinators of Western and Central Europe and South America as well as in Ivano- Frankivsk for coordinators from Ukraine and Kazakhstan.